If you don't want to see mandrillapp.com URL's in your SendPress Newsletter links, you'll need to disable Mandrill Link and Open Tracking. 5. 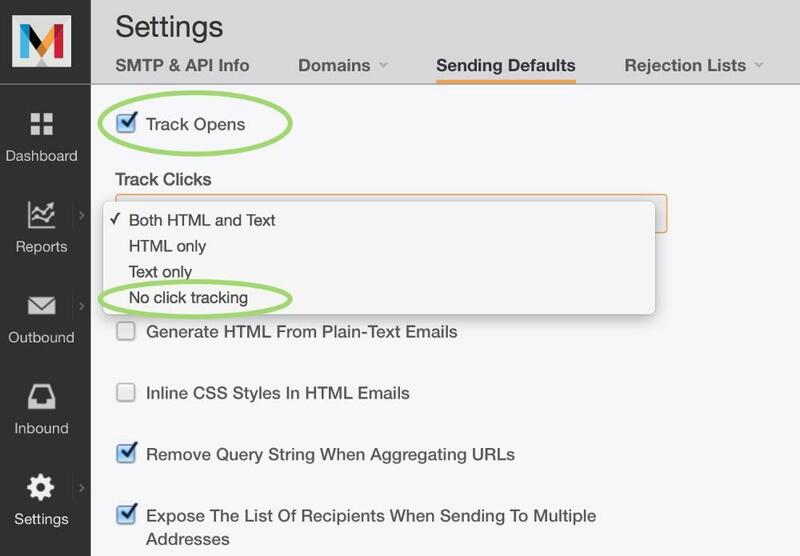 Select "No click Tracking" under the Track Clicks drop down.